"What Is Heaven Planning for 2019?" SET of ALL 8 Sessions in your choice of 4 Formats! We wish that everyone could be here in person each year for our annual conferences, but we realize that many of you simply are not able to make it here in person to attend. For those who couldn't make it, we have the perfect solution! We have the full conference available in 4 different formats: DVD, CD, MP3 audio download, and our newest addition, USB Drive, which contains BOTH the audio and video of all 8 sessions. It's like getting a DVD set and a CD set rolled into one little USB drive that fits in your pocket or purse. 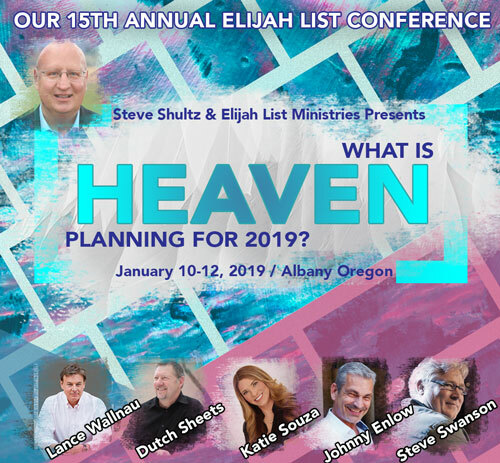 Get your set today... and find out what Heaven is planning for 2019!